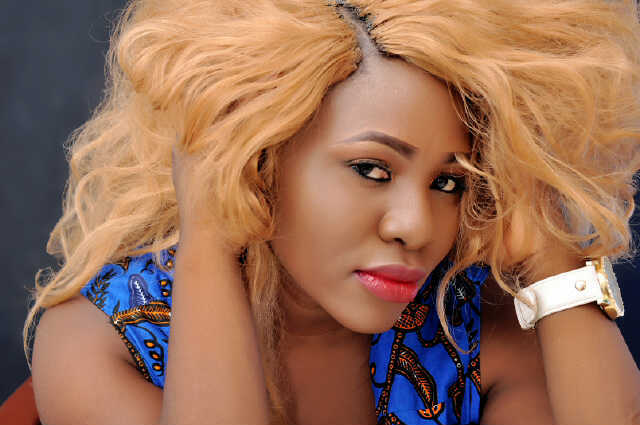 Imelda Ada Okwori whose stage name is Imelda J, has recently been tagged musician Jaywon’s girlfriend. As she dispels that rumour, there has also been an ongoing accusation of her dating dating Gov Gabriel Torwua Suswam of Benue State, Nigeria, is still spreading like a wild fire. In a recent interview with Vanguard, Imelda says she isn’t dating the married Governor, however, admitted the Governor’s wife snubbed her publicly at a function. Below is an excerpt of the interview….ENJOY! Why the news about you is always about dating one person or the other? You see, like I said, I am a very friendly person. I can’t change that about me. Maybe it’s one of the reasons. I am yet to discover why. And maybe because I am human or maybe they expect me to flaunt my boyfriend or brag about having a relationship. And because they don’t see all of that, they assume and conclude on my behalf as soon as they see me getting close to any man. There is even a rumour that you are dating Governor Suswam? You see, I have already answered that in your previous question. I don’t like talking about this because I respect my State governor a lot and he believes in my dream. I have been running away from talking to the press concerning this matter. I wonder how this rumour is still spreading. I have nothing to do with him. He is more like a father figure to me, especially in politics. He does not even have any idea of how much I admire and respect some of his leadership qualities. I hardly see him and most of the time we meet, it is by coincidence. Please, I will be grateful if the press can stop asking me henceforth. What happened between you and Yemisi Suswam when you met recently at an event? Here you go again. What did you hear? We learnt she ignored you at the event! How did it happened and which event was that? That was during a performance few years ago. It was the celebration of my State governor’s victory in the court. I wasn’t the only one who performed there. What she did was obvious, that a lot of people noticed it, even then I tried my best not to let it weigh me down, many kept calling and condemning the act. I chose to move on and gave it a blank ear because a clean conscience fears no accusation or anything. I don’t want to talk much on this. I am surprised that people are still talking about it as if it just happened. It is well oh. Abeg, I love my life oh. What do you think made her not to respond to your greeting? I don’t like jumping into conclusions. So I do not know. I can’t say anything concerning that again, please. If I say one thing now, someone else will misunderstand me. Just forget that matter please. Are you presently in any relationship and how is his reaction to all these romance tales of yours? Imelda J, from the day I made up my mind to do music professionally, I also made up my mind to face the consequences. It is a sacrifice. The road is not as easy as people think. Just like every other average man, you don’t expect him to be happy about it. Even if he chooses to understand, I know he feels hurt sometimes. This entry was posted in Entertainment, Fashion trends and tagged Gov Gabriel Torwua Suswam of Benue State, I Never Dated Gov Suswam Says Singer, I Never Dated Gov Suswam Says Singer Imelda J, Imelda J, Yemisi Suswam.